Paul had an experience on the road to Damascus. He often shared the details of that experience as he did in the third chapter of his letter to the Church at Philippi. It was as if his accounting books were turned upside down – what had been in the gain column of his life was now in the loss column and vice versa. After his accounting books had been turned upside down, or we might say right side up, his ambitions totally changed in the gain column. He wanted to tackle the purposes for which the risen Christ had tackled him. Now he only wanted to know Christ and the high calling of God to which Christ was leading him. If we want to know the will of God we must live up to the light and the truth God has given us at any given time on our faith journey. We can take away from this a prescription for guidance. If we want to see further ahead into the will of God for our lives, we should move ahead into the will of God just as far as we can see. Like driving across country at night we can move ahead into the 100 yards of light our headlights give us – and that can lead us clear across our vast country. Seeking Jesus: Where is He? The great Christmas word is “incarnation,” meaning literally “in flesh.” (John 1:14) The Bible tells us that incarnation also means relocation. God wants to express the quality of love God is where people are hurting. If we intentionally place ourselves where people are hurting, as we become conduits of Christ’s love that addresses their pain we will discover where Jesus is. We must also look where the Light is. We can place ourselves where there’s spiritual darkness and ask God to pass Christ’s light through us to address the darkness. And we should look where the Life is. The Apostle John writes that God has given us a quality of life John labels “eternal life.” (1John 5: 11-12) We can experience this quality of life ourselves, and we can become conduits of that Life for others. As conduits of Jesus when we go (and are) where the hurting are, there is darkness, and the quality of life is lacking – we discover by experience where He is. The process of working through our trials will teach us the test of faith, which leads to the trust of faith and brings us to the triumph of faith. 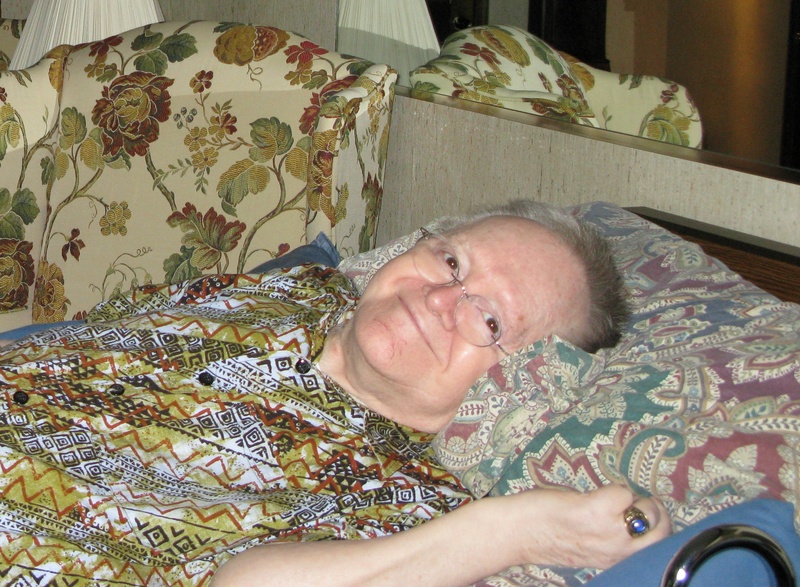 I have been in a wheelchair since 1984 and a bedfast quadriplegic since the mid 1990s. I have, therefore, thought much about the suffering of disciples. In the Bible we are warned that God does not think as we think, nor does God do as we do. (Isaiah 55) If the desire of my heart is to know God’s will and to live my life in alignment with the will and ways of God, wouldn’t it logically follow that I should not always expect to understand the way I’m going? Obviously, that includes our suffering. When I was 25 years old I attended a conference for pastors. Our speaker was a famous pastor who had snowy white hair. I felt sorry for him because he was so very old. As he started to speak his first words to us were: “I’m old. I’m gloriously old, but I wouldn’t be as young and ignorant as you are for anything in the world!” I was feeling sorry for him because he was so very old, while he was feeling sorry for me because I was so young. In many cultures age is considered a plus because wisdom comes with age. Psalm 90 makes the statement we reach 80 years of age “by reason of strength.” I have had a debilitating disease since 1978. By God’s grace, I have found the strength which comes from the Lord and is exhibited in the showcase of my own physical weakness. I was born eighty years ago today (25 Oct), so these verses resonate with me in a personal way. Two of the ways Moses exhorts us to apply this psalm is to number and value our days to gain a heart of wisdom about how we should spend them. He then concludes his psalm asking God to show us the work He wants us to do for Him, so that His glory might appear to our children. His last words invite God to anoint the work He reveals to us. When Jesus made that observation about being present when two or three gather in His name he was not giving us a consolation for poor attendance at a meeting. Jesus was being descriptive and prescriptive about the reality that His risen presence is among us in a special way when just two or three of us come together in His name. King Solomon, thought to be the wisest man on earth in his day, also wrote about the value of community. He tells us in Ecclesiastes 4: “two are better than one, for when one falls the other will help him up.” Then, in verse 12: “a threefold cord is not quickly broken.” This could mean that when two or three are in community, the presence of God among them forms the threefold cord that cannot be easily broken. Are you in community? If you are not, follow the teaching of our Lord and the wise counsel of Solomon to seek spiritual community. I’m not telling you to just go to church. I am writing about that special relationship with two or three people where you have accountability and deep sharing of life and faith. If you cannot find one, start one. It only takes you and one other person.